I have been in The Natural Holistic Therapy field since early 1980 when my youngest son was born with Cerebral Palsy and the diagnosis was that he would not be able to walk, talk, function by himself or be educated.. in short in those days the solution was to place “them” in a home. I studied Reflexology, learned how to massage and became interested in nutrition as a result. My son is a strapping 30 year old who matriculated, travelled abroad several times and has run his own small businesses. Over the years I added variety of modalities including Shiatsu, Bio- Energy Healing, Crystal and colour therapy, Regression, Axiotonal Alignment similar to The Reconnection, Journey work, Emotional Freedom Technique, Muscle Balancing Activation, and The Emotion Code. I have also taught meditation and hosted workshops on Self help Healing techniques & Connecting with Angels & Guides. My Intention is to continually learn and grow and share what I know with others. I am situated in a lovely quiet tranquil setting in a little health and beauty center and I am delighted to offer you the following treatments. Therapeutic Massage, Muscle Activation, Emotional Freedom Technique, Brandon Bays Journey Work. Reflexology,Dietary and Nutrient Support. Wellness Therapist – For Body, Mind, Emotional & Spiritual care. A unique and simple but very powerful method that quickly clears buried emotional issues and traumas as well as physical problems, mental blocks, addictions. Proven highly effective for Stress, Anxiety, Tension, Anger/Rage, Depression, Fears, Panic, Negative thinking. The beauty of this.. so easy to learn a child can do it and have successful results. After just 1 session you can apply the technique straight away to use in any stressful situation. Brandon Bays creator of this technique healed herself of a massive tumour using this remarkable process of which Forgiveness is one of the keys. It frees you from old emotional baggage, grudges and stored pain that has held you back for years. It uncovers old cellular memories and clears them, helps free you to Forgive and allows healing to begin. It takes you through all those layers bringing you to a place of absolute peace within yourself and connects to your personal Spiritual Source. Reflexology is also known as reflex zone therapy and uses specific points on the soles of the feet or palms of the hands to influence certain organs and to treat disorders. The aim of reflexology is to result in the restoration of homeostasis – internal equilibrium where organs and glands work optimally and in harmony to help promote health and in so doing help prevent illness and disease. Reflexology is also used with great success to relieve stress and the physical demands made on the body, as well as stimulating the immune system. With Angelic guidance and assistance De-Cording is a very gentle technique of cutting the etheric cords still connecting you to people you have been in unhealthy or co-dependant relationships with… that influence you negatively, and seem to have control over you and your life in some way. This applies to repeated patterns of behaviour that seem to re-occur in all your relationships. Do you need clarity, insight & a clearer view of future outcomes? A reading with a slightly different angle that looks at the mental, emotional and Spiritual aspects as well, offering a more therapeutic angle as well as how to create positive change for the future. If you really want to change deep rooted repetitive negative behaviours and patterns that set you back and keep you stuck, stressed and disempowered. Quick & powerful. Ever wondered why your positive affirmation and intentions don’t often work and take hold.? If there is “Stuff” in the way and you’re putting your affirmations and positive thinking onto a rocky foundation they are not going to yield the fruitful results you want and all your good intentions will fall by the wayside. An Integrative Therapy that works first at balancing the bodies energetic system, that may be thrown off balance though stress, trauma, electromagnetic or repetitive negative thinking. Then the traumas, events or issues are cleared and released while using specific techniques involving eye movements, tapping, and other protocols. and other techniques designed to further enhance your power of intention and affirmation, desired goals or outcomes, are added to anchor this into your whole system. Now that the affirmation or positive thought processes are set into your whole system they are, based on the basic Laws of attraction ready to be projected into your life… and positive outcomes are the result. !! A few minutes of reinforcing these every day with a few basic techniques with further support, enhance and create the change you want to see in your life. Deep tissue therapeutic treatments to relieve joint & muscular aches, pain & tension from stress or injuries. Specialising in neck problems, shoulder tension & headaches. Imperative for all Sports enthusiasts. Helps to improve range of motion, flexibility and performance. Tests to see which muscles may have shut down and are not firing properly, whereby interfering with your function and corrects the imbalance and gets the them working optimally again. Very effective. EFT – Emotional Freedom Techniques is a relatively new discovery (1990) and a fast-evolving treatment within the field of Energy Psychology which is catching the attention of healers, scientists, spiritualists and lay people. It’s based on Dr Roger Callahan’s work on Thought Field Therapy developed over 30 years ago. Often referred to as “Psychological acupressure”, the technique works by releasing blockages within the energy system which are the source of emotional intensity and discomfort. These blockages in our energy system, in addition to challenging us emotionally, often lead to limiting beliefs and behaviours and an inability to live life harmoniously. Resulting symptoms are either emotional and/ or physical and include lack of confidence and self-esteem, feeling stuck anxious or depressed, or the emergence of compulsive and addictive behaviours. It is also now finally widely accepted that emotional disharmony is a key factor in physical symptoms and dis-ease and for this reason these techniques are being extensively used on physical issues, including chronic illness with often astounding results. As such these techniques are being accepted more and more in medical and psychiatric circles as well as in the range of psychotherapies and healing disciplines. EFT is a common sense approach that draws its power from Eastern discoveries that have been around for over 5,000 years. In fact Albert Einstein also told us back in the 1920’s that everything (including our bodies) is composed of energy. These ideas have been largely ignored by Western Healing Practices and as they are unveiled in our current times, human process is reopening itself to the forgotten truth that everything is Energy and the potential that this offers us. In the short time since its inception by Gary Craig in the 1990’s.. Gary was a student of Dr.Callahan and created a way of simplifying the modality…. EFT has provided thousands of people with relief from all manner of problems and conditions, often in startlingly quick time and after long and painful periods of searching for a cure. The diversity of successful treatments have ranged from trauma and abuse, phobias, self-sabotaging behaviour patterns, to deep set emotional conditions of anxiety and depression, addictions, physical illness, to name but a few. While tapping and the use of “energy systems” is somewhat new to the Western world, it has been practiced in Eastern medicine for over 5,000 years and is poised to revolutionize modern medicine. Deepak Chopra – Physician, a holistic health guru, and one of America’s most notable alternative medicine practitioners. Lynne McTaggart – author, publisher and lecturer, medical researcher on the practices of alternative medicine. EFT restores awareness and trust in the natural healing abilities of our mind and body, providing groundbreaking opportunities to achieving physical and emotional well-being in a faster time frame. Because the techniques are so simple, they can be used effectively as a self-help tool, which empowers people to actively contribute to their own healing and development process. This facilitates a much faster relief process, previously believed impossible by healthcare professionals who advocated lengthy (& often painful) hours in psychotherapeutic or medical care, often with limited results. These techniques do not discredit the medical and psychotherapeutic professions, but rather serve to contribute to a holistic healing process. EFT works to clear such disruptions and eliminate the resulting emotional response or intensity to restore emotional harmony and offer relief from physical discomfort. Please familiarise yourself with the EFT tapping points used during a treatment. Can be self-applied for daily use but some cases are more complex, however, and may require more detailed attention from an experienced EFT Practitioner. The treatment sessions are usually about 2 to 2 and half hours long depending.. I don’t like to rush them. You are guided in precisely how to use the modality and are given notes. If there are deep emotional issues it is more effective to have at least 3 sessions which are designed to your individual needs. The intended outcome is for complete change & well being on every level and incorporates Transformational Re-patterning and other useful techniques to help you move forward. Throughout my life I have questioned our/ my place and purpose here on Earth and struggled with the many difficult lessons and experiences along the way. Having a British upbringing …stiff upper lip and swallow it etc, I rarely sought help in dealing with the aftermath of life’s trials, and when I did, none of them helped nor gave me tools to work with at home, when I needed them most nor helped me to become more resilient. A Therapist dragged me through the turmoil over and over again, without providing insight or healing. In contrast Patsy has provided all of the above with her particular skills, insight and uncanny ability to target the source of the problem whether physical or emotional. Most importantly she is the first person to provide tools and almost immediate release and healing around the cause of the problem. I was able to release and find healing and peace without having to drag step by stage through the various traumas. Patsy has taught me the valuable technique of EFT. This technique is an amazing tool that can help you work through your emotions, understand them and release them, on a very deep level. I’ve been working with Patsy Mullany for a few years now, offering her therapeutic services as an integral part of the healing process to our guests checked into our world class holistic wellness retreat programs. The issues with guests Patsy helped heal, ranged from divorce, anger-management, weight loss, couple’s therapy, trauma experienced, general life-coaching, death of a loved one and many more. • Patsy’s years of wisdom and experience of being an outstanding therapist, who’s grounded and has a special intuition ability guiding her when she works with each client, being sensitive, gently, friendly but firm. • Her wonderful ability to turn a “negative angry” client into a “happy, positive” client, by helping them change their negative perspective towards life, into a positive mind shift. 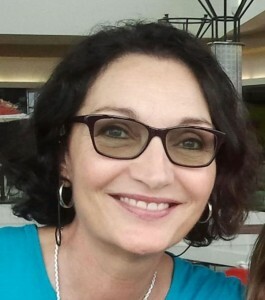 • Patsy stays up to date with the latest therapy and techniques in the market and teaches each client techniques, which helps them to help themselves. I feel so blessed, grateful and honored to have such a special therapist such as Patsy as part of our wonderful holistic wellness retreat program team. Thank you Pats! I have known Patsy for many years and can really say she is truly amazing at what she does ? ?